This ideas is often overlooked. However, if you want to improve your site's ranking, look for broken links. There are few things more frustrating in the online world, than going to click on a link and being directed to an ominous 404 page. Also, when spiders crawl a site and find too many broken links, it will negatively affect your page rank. Use sites like Broken Link Check to make sure that your site isn’t littered with broken links. While keyword stuffing was common practice 10 years ago, it doesn’t work anymore, especially with recent changes to Google’s search algorithm. This is not to say that you shouldn’t use keywords or implement creative strategy for long-tail keywords; however, you don’t’ want to saturate your blogs with keywords that dilute your blogs message. Using the same keywords over and over again ad nauseam will not help your SEO strategy, and it certainly doesn’t make for easy reading. Google’s search engine is smart enough to detect what your content is about, so it doesn’t need to be told over and over again through heavy keyword usage. 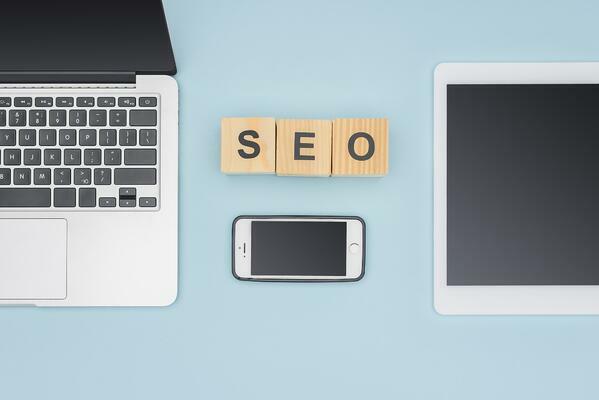 Just as improper keyword usage can harm your SEO strategy, ignoring the significance of an instructive page title and meta description can detract from your hard work as well. Create unique and descriptive page titles and use your meta description as a final opportunity to provide a preview of the value of your page. Meta descriptions are used in search engine results, so make sure to create copy that grabs the searcher’s attention. We understand: you’re likely a busy entrepreneur working as hard as possible to put your company on top. You don’t have much time to write stellar content for your website and assume it’s easier just to copy it from somewhere else and paste it on your website. No one will ever notice, right? Wrong. Google is like a mother that sees and knows all. Google considers copying content from another website to be duplicate content, which refers to content located on multiple websites across the internet. If your content is found within another website, your chances of ranking for your targeted keywords drops dramatically. Plus, not only is this practice ill-advised from an ethics standpoint, but it’s illegal according to copyright law. Picture this: you’ve spent countless hours assembling an engaging, aesthetically pleasing, and user-friendly website. You’ve suffered through writer’s block and created a few helpful blog posts, and you have performed keyword research, taking the necessary time to optimize your site. Now you are staring at your analytics screen, waiting for site visitors to convert to leads; you’ve been working hard and deserve recognition, right? I hate to be the bearer of bad news; however, SEO is a marathon not a sprint race and that means you need to actively update your site with useful content. While it’s great that you’ve created useful content, you need to stick to a consistent blog publishing schedule. If you don’t update your content frequently, search engines won’t recognize you as a relevant source.